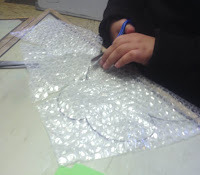 This week I tore all signs of Winter from my classroom walls. It might not look like Spring outside the classroom window, but inside the room we are ready and rearing to welcome Spring, whether our climate cooperates or not! 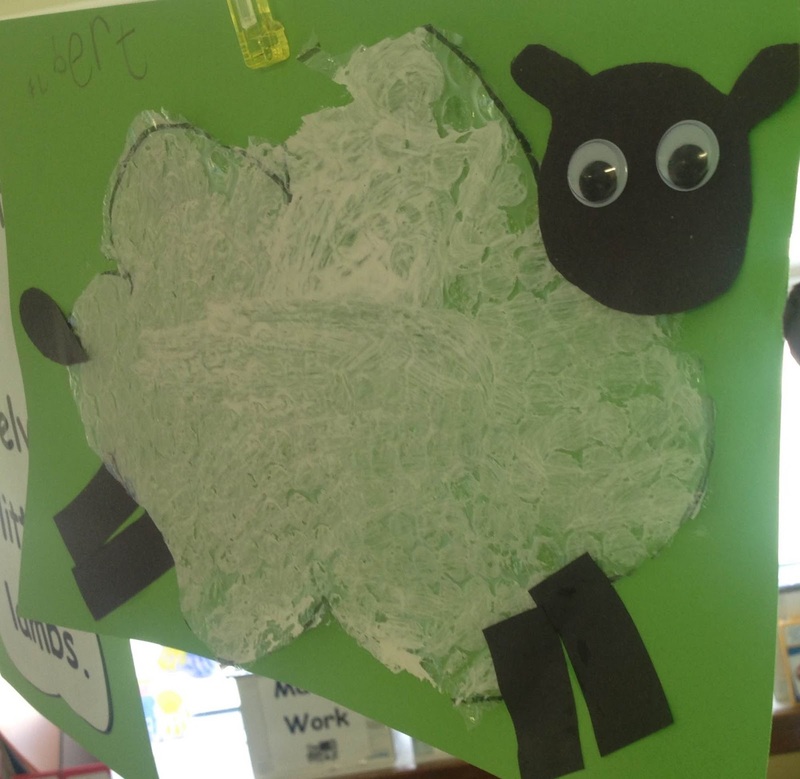 This week in Junior Infants we were learning about lambs. The traditional nursery rhymes can be used to death sometimes - as lovely as Mary's lamb and Baa Baa Black Sheep are I like to try and bring in some alternative rhymes to enhance topic teaching - and for my own sanity! 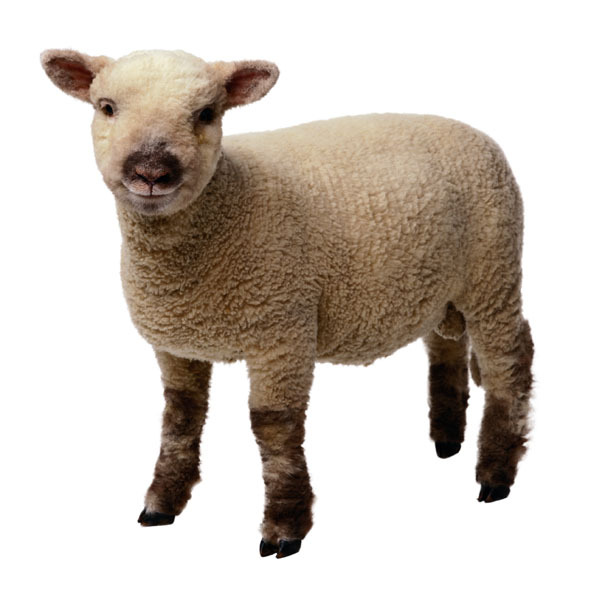 Oh I wish I was a wooly, little lamb. Along comes another lamb, and that makes two. Along comes another lamb, and that makes three. Along comes another lamb, and that makes four. Together now, lets count them, one by one! I'm going to use them for some nice "I can see..." independent writing activities next week. If you're a fiend for displays like myself, it's always nice to have a fresh display for a fresh theme. Unless you're a teacher or working in a classroom, you'll never know that feeling a successful art activity brings! 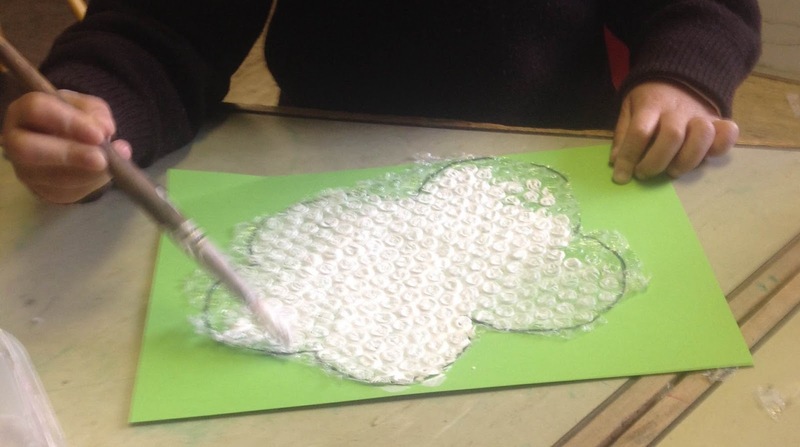 Today my class had great fun making sheep with bubble wrap. It took a lot of concentration, but all agreed it was worth it - I never saw such determination with a cutting exercise. That's just a little taster of this week's work. Plenty more spring content to come next week! If you're on mid-term, have a great break!